Sometimes, with every victory we make against the terrible illness of substance addiction, we take one more step backwards due to the overbearing influence of drugs and alcohol. Although illegal drugs are responsible for numerous amounts of fatalities and injuries throughout our country, we have to remember that part of the blame lies on medications (like opioids) and drinks (alcohol), which are 100% legal. So, how do you fight something so dangerous and so widespread? Ultimately, this problem turns into a full-blown crisis when you consider that drug addiction and alcoholism are huge parts of pop culture, in the same way they have been tested and investigated for thousands of years. Critics argue that one of the first accounts of modern drug experimentation and exploitation is Confessions of an English Opium-Eater (1821) by Thomas De Quincey. Since that time, drugs, beer, liquor and a manner of other mind-altering substances have still managed to become “all the rage.” Sometimes, however, the fight against addiction becomes problematic? What are you supposed to do when gorgeous Clydesdales and their puppy friends (obviously child-friendly images) are advertising one of the most popular beer companies in the world? Regardless of catering to children, though, some of the biggest problems stem from celebrities promoting addictive substances through film, music, and lyrics. From the LSD fanaticism during the Beatnik movement to the overload of cocaine among 90s supermodels, drugs have always found a way to crawl into the most entertaining aspects of our societies around the world. Romanticizing the link between addiction and creativity is a bad move. While you could argue that films like Trainspotting, Requiem for a Dream, Dallas Buyers’ Club, and The Hangover provide dramatic, bizarre, or downright funny stories while also teaching valuable lessons, a majority of the entertainment industry is still falling victim to drugs. As a result, we do not get a very pretty picture as multiple stars have to enroll in a variety of treatment programs. Let’s take a closer look at some addictive substances that are a part of modern pop culture. Many of you are probably familiar with the drug Adderall, as this substance is a very popular medication for people coping with ADHD and other hyperactivity problems. Combining two powerful stimulants (amphetamine and dextroamphetamine), Adderall is typically a helpful drug for children, but it has recently found a mainstream audience with adults, who use it to get an extra kick. Throughout the years, this drug has been revered for its ability to enhance mental clarity and focus. Even Detroit rapper gave himself the nickname “Adderall Admiral,” referring to this drug as the steroid of the rap industry. 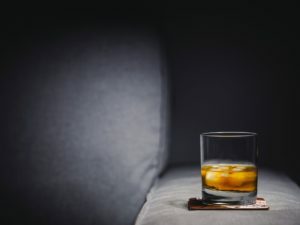 Although this drug (yes, it is one) might be revered for “kicking the party up a notch,” alcohol also serves as a depressant, and many addicts will turn to the bottle to induce comatose sleeping periods. In fact, people have been dependent on this substance for over 7,000 years, according to historians. As a depressant, alcohol has a unique way to draining thoughts of self-judgement or doubt, making it an ideal tool for creative minds (in the worst way). Renowned author Ernest Hemingway was a staunch supporter of this drug and claimed to have used it since the age of 15. Throughout the years, the bottle has attracted the attention of hundreds of writers including Stephen King, Marguerite Duras, and William Faulkner. Would you ever imagine that cough syrup and other cold medications could induce a high? In recent years, codeine (or lean) has become the drug of choice in the hip-hop industry, particularly among rappers like Pimp C of UGK, DJ Screw, and Three 6 Mafia (an Oscar-winning group). In fact, Mafia once used the term “sizzurp” (a street name for the drug) in one of their songs. So, what exactly is “lean”? Simply put, this dangerous concoction is a mixture of codeine (the type in cough medicines), Sprite, and Jolly Ranchers. After being mixed together, the drink is poured into a Styrofoam cup. While probably the least known out of these drugs, the dangers of lean come from the fact that the substances required to make it (like alcohol) are 100% legal, and (even worse) it can be created by anyone. One part of the string of medications called opioids, Vicodin is combination of hydrocodone and acetaminophen. While not quite as strong as its cousin Percocet or well-known in the world of addicts, this opioid still induces a euphoric sensation and feeling of pleasure that has attracted the attention of multiple users. In perhaps one of the drug’s most notable cases in pop culture, Vicodin was the weapon of choice for Dr. Gregory House (Hugh Laurie) in the hit TV series House (an ironic reflection of Sherlock Holmes’ notorious abuse of cocaine in the stories by Sir Arthur Conan Doyle). At The Recover, we fully understand how difficult treatment programs can be for addicts and alcoholics through our daily work to help these individuals overcome this terrible, painful disease. Although many people believe they can overcome their problems without help, residential rehabilitation treatment programs are still an essential step on the road to recovery. Although the path to health and happiness might not be an easy one to take, you can finally enter the threshold to freedom with the help of a loving, supporting team. Additional aspects like counseling and psychological care can ensure you address underlying psychological issues that ultimately led you to become an addict. From here, you can build an infrastructure that will help you live your life with entering relapse, all with the help of a solid residential rehabilitation treatment program. An unbiased and substance abuse and mental health news provider, The Recover works hard to help victims of drug abuse or addiction discover the right residential rehabilitation treatment programs in their local areas. We also provide detailed information concerning West Virginia Centers for addiction recovery. For more information, contact us today at (888) 510-3898 to learn more about our comprehensive drug and alcohol addiction treatment program.